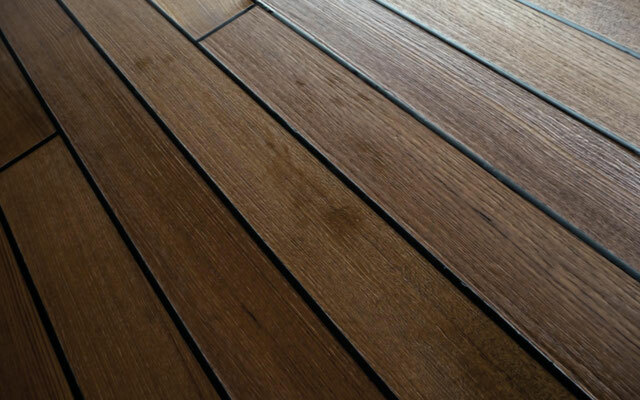 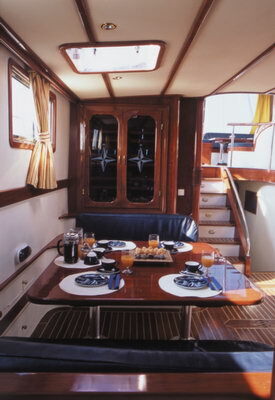 for 10 guests in 5 cabins, one Master, three doubles and one twin, all with en-suite facilities. 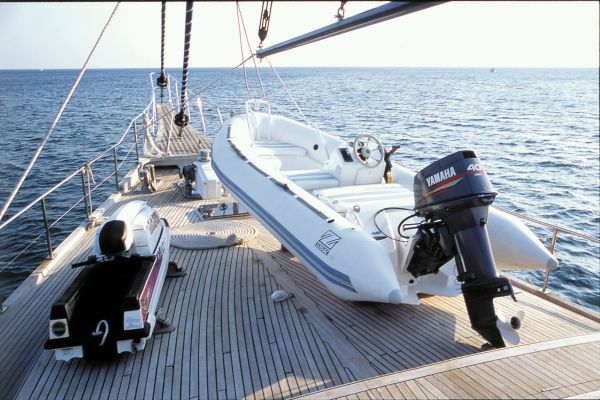 1 speed boat 4,20m with 40Hp outboard engine, jet ski Kawasaki, water ski, fishing equipment, snorkeling gear. 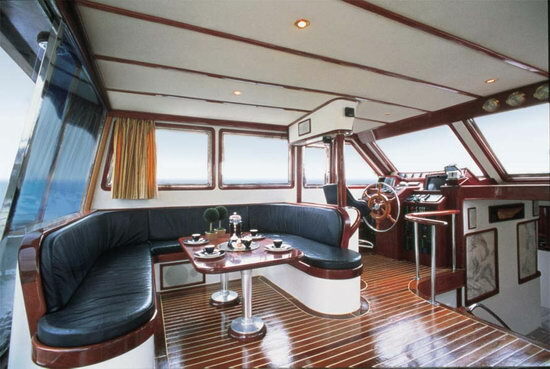 Air-conditioning system indivually controlled from each cabin. 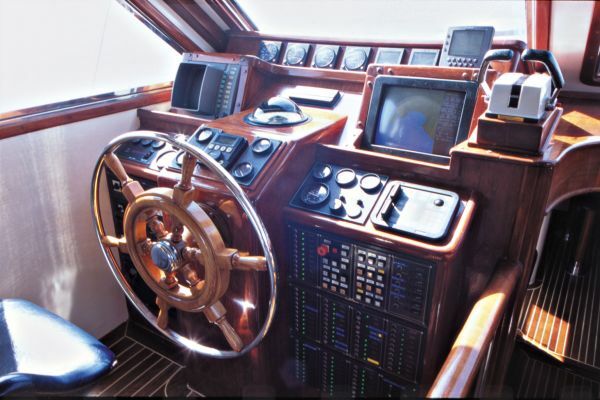 Radar, GPS Plotter, autopilot, VHF, speed Log, depth Sounder/ fishfinder, wind direction and speed, weather fax, gyrocompass. 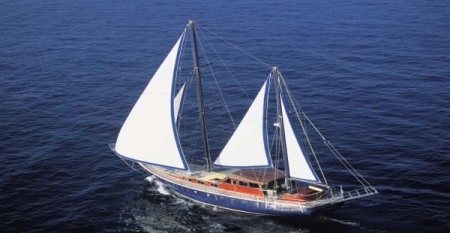 ALMYRA is a high standard motor sailing yacht that combines a magnificent traditional Aegean Pine wooden hull with modern sailing equipment and a 400m2 sail area. 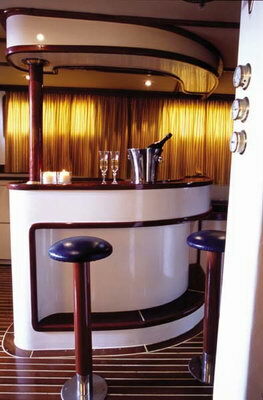 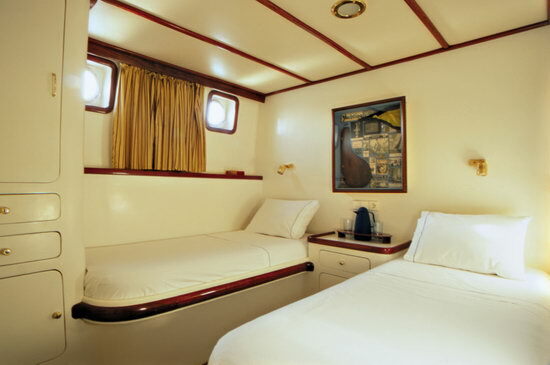 Its five luxurious staterooms comfortably accommodate ten guests. 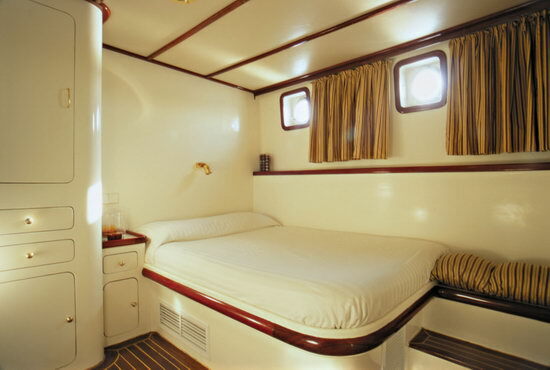 The large Master suite, three double suites and one twin suite, all offer en-suite facilities and are fully air-conditioned. 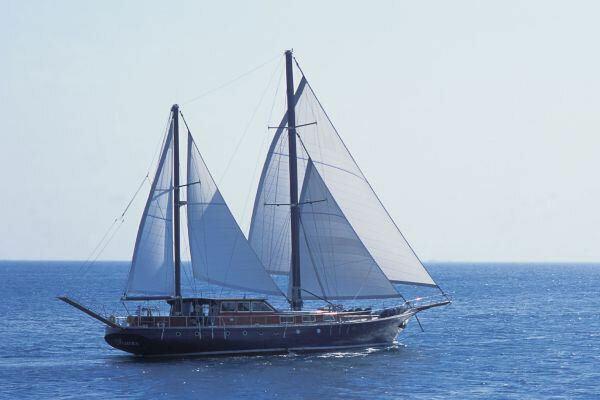 ALMYRA's professionally skilled crew of four, guarantees exceptional service and unforgettable travel experience. 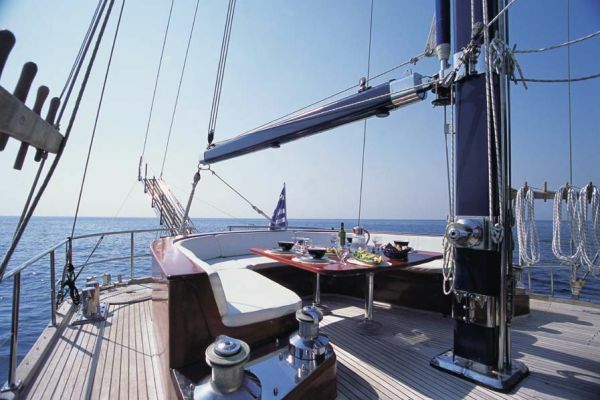 ALMYRA offers the flexibility to enjoy the perfect sailing or motor cruising holiday in Greece, tailor made to your desires.